Pleora’s iPORT™ SB-GigE External Frame Grabbers improve the usability of Sony block cameras by allowing systems manufacturers and integrators to treat them as native GigE Vision® cameras. 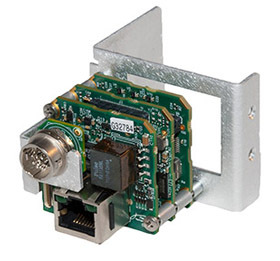 With these external frame grabbers, Sony block cameras can leverage the simple, long-distance cabling of Gigabit Ethernet (GigE) for both video and control signals. The cameras can also be used with a broader selection of computing platforms, lowering system costs.